Sherry Yvonne Zerbonia, 67, of Hannibal, MO passed away at 12:56 p.m. Tuesday, May 29, 2018 surrounded by her loving family and friends. Funeral services will be held 10:00 a.m. Saturday, June 2, 2018, at Smith Funeral Home & Chapel. The Rev. Joe Thrower will officiate. Burial will be in the Grand View Burial Park. Visitation will be held 5:00 to 8:00 p.m. Friday, June 1, 2018, at the Smith Funeral Home & Chapel. 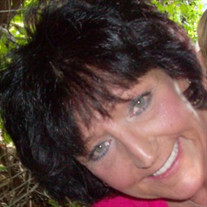 Sherry was born on January 25, 1951, in Quincy, IL. Sherry was raised by her great aunt, Katherine Sellers Lowe. She preceded her in death. Survivors include her beloved children, Angelica Nicole Zerbonia (Brian Chaplin) of Hannibal, MO, Heather Danielle Cleavinger (Matthew) of Moberly, MO, and Zachary Slade Zerbonia (Todd) of Miami Beach, FL; cherished grandchildren, Cassady Daltyn Rodriguez (Elias) of Durham, NC, Kennady Raffaela Shuck (Liz) of St. Louis, MO, Kamaryn Francescia Shuck of Hannibal, MO, Ashlyn Bryn Dietle (Kelly) of Hannibal, MO, Sydney Danielle Cleavinger, Molly Grace Cleavinger, Hadley Kay Cleavinger, Laney Raquel Cleavinger, all of Moberly, MO, Ferguson Zerbonia of Miami Beach, FL, Lincoln Chaplin and Jarik Chaplin of Hannibal, MO; great grandchildren, Augusta Iris-Nicole Rodriguez and Amelia Rose Rodriguez of Durham, NC; significant other, Joe Zupan of Hannibal, MO; in-laws, John and Ada Zupan; brother, Tommy Fiss; sister, Annie Hart; and best friends Sue Weishaar, Janet Logsdon and Denise Ferguson. Sherry graduated from Hannibal High School in the class of 1969. She previously worked for Promotional Images as a sales representative until she retired do to health reasons. Sherry was an upbeat spunky lady and enjoyed traveling with her son and friends, trips to the zoo with her family, cooking for her family, listening to music, especially classic rock and 80's, fashion and interior decorating. Sherry loved shopping and finding the best bargain for her money. Since being sick and not able to get out and about, she loved watching and buying bargains off the Home Shopping Network. When time allowed, Sherry enjoyed watching the Young & Restless, Game Show Network, and the ID Channel. In her younger years she enjoyed doing yard work and was a cleanaholic. Sherry also loved to take trips to the casino and was known to play the lottery once in awhile. Sherry greatest love was her family and friends and the memories they have made to cherish her by for the rest of their lives. Sherry was a previous member of the Hannibal Regional Auxiliary and attended church at Prince Avenue Baptist Church. Pallbearers will be Mike Zupan, Dave Zupan, John Zerbonia, John Pat Piper, Derek Long, and Andi Burroughs. Memorial contributions may be made to the Hannibal Nutrition Center, in care of the Smith Funeral Home & Chapel.